We live in a world where the 5 AM emailer, the work warrior, and the “always on” manager get celebrated. While there are individuals who can pull that off and not feel any signs of burnout, most of us have struggled with the work version of “Keeping up with the Joneses’” on more than one occasion. 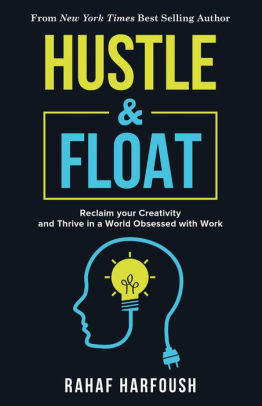 If you belong to the “gig economy” or the creative space of work and have struggled with work stress and balance, Rahaf Harfoush's Hustle & Float may be the book you are looking for to help you in your career journey. 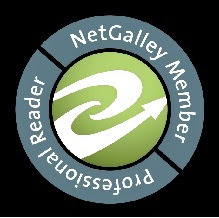 I appreciated the author’s candor in sharing her personal struggle with achieving her own sense of balance. The struggle for many of us, whether in the gig economy or not, is real given we feel the need to be on even when we’re scheduled to be off. For those who aren’t regular 9-5 types and work in the freelance world, that switch sometimes can be on way more than it needs to be. Harfoush shares what she decided to do as a counter to those external forces that push the seemingly endless drive to work hard. If this were solely a book about balancing work and life and the world’s struggle to navigate through that minefield, Harfoush makes some good points. A chunk of the book successfully advocates for you doing it your way: living the night owl life or taking naps throughout the day to recharge. However, the author spends over 150 pages (far too long) discussing how we got to where we are with the concept of work. While historical context is important, brevity can be a real asset. Second, the author delves into political aspects. This "policy point" approach feels disjointed and out of place with the main idea of focusing on creative workers. Hustle & Float hustles hard to promote valid ideas, but floats too far from focusing on its main target. I really wanted to like it more, but the struggle for coherence and brevity takes this book away from what should be a stronger set of ideas for the modern worker to find balance in a busy world.